Butler High School has announced the 2018 Prom Court. 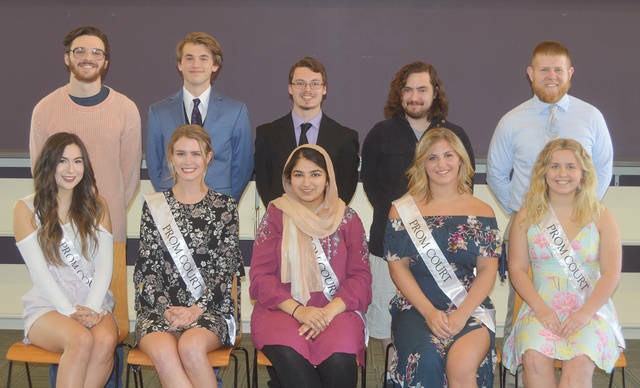 Standing left to right are Samual Fischer, Branden Fischer, Troy Abele, Dewey Lewis, Keagan Sommer; seated left to right is Stephanie Marcum, Sarah Droesch, Baria Choudry, Emma Childers, and Courtney Kessler. The Prom, under the theme of Van Gogh’s Starry Night, will be held Saturday, April 21 at the Butler Student Activities Center.